Under the loving guidance of Britt Bodin, therapy dog Tara went from being a timid rescue dog to becoming a happy, outgoing girl who loves people. Britt became Tara’s foster home after Summit rescued the Greyhound mix from a shelter. Britt said she was understandably fearful, because she had been abused. A scar on her side remains evidence of that. After awhile, she was released from the Summit program because of her fearfulness, and Britt adopted her. As he continued to work with her, Tara’s confidence grew, and Summit realized she could become a great therapy dog. Britt and Tara went through training specifically for that purpose, and now Tara will bring comfort and smiles to people in facilities such as nursing homes. Joy is deeply grateful to receive Sailor as a therapy dog. As his puppy raiser, she knew that he was gentle and loving, but she really saw what makes him special when tragedy struck her family recently with a sudden and unexpected death. As people gathered at the Thompson home, all struggling to come to terms with what had happened, Sailor made his way to each person individually, offering himself for warm hugs or a soft shoulder to cry on. He even knew when one young man needed a distraction and offered a joyful play bow. Joy said Sailor provided exactly what each person needed in the moment. 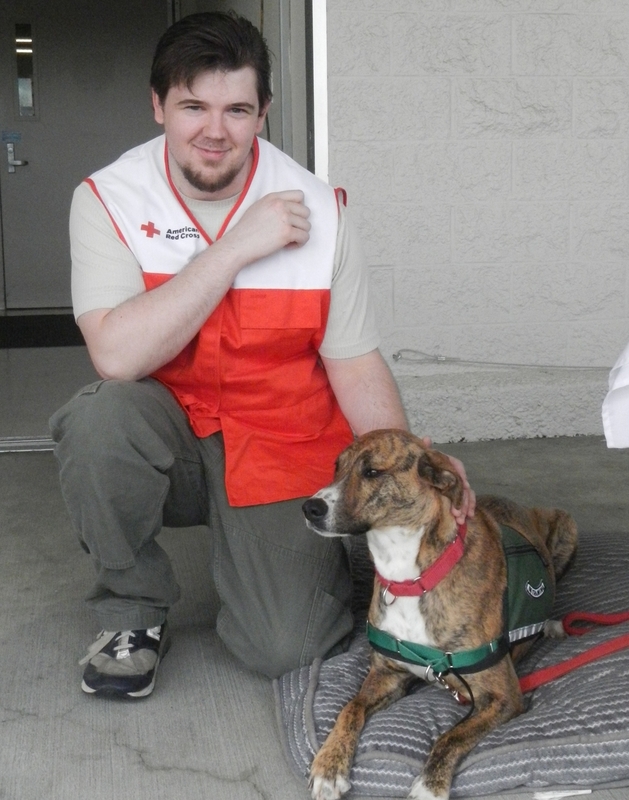 He is sensitive and loving, and as a therapy dog, he will bring joy to people in need. Juliet has a rare genetic syndrome called Potocki-Lupski, resulting in low muscle tone, balance and coordination challenges, cardiac and orthopedic issues and delays in speech and development. She spent the first month of her life in the hospital’s neonatal intensive care unit and has seen physical, speech/feeding and occupational therapists ever since. Her parents thought a canine friend could help her with speech development, walking in public and providing comfort at night when she has trouble sleeping, and they were right. Within 24 hours of Bodhi going to live with the Popes, Juliet spoke her first four-word sentence: “I want my dog.” Now she takes Bodhi with her to appointments at the hospital, where staff and other children also benefit from his sunny disposition. Multiple Sclerosis has made Karen’s life challenging for 43 years, but she says it also has blessed her in surprising ways, one of which is Narnia. Karen says Narnia has given her a new sense of freedom by performing usual service dog tasks, but that’s not all. Narnia has restored Karen’s confidence to try experiences she had long ago given up. 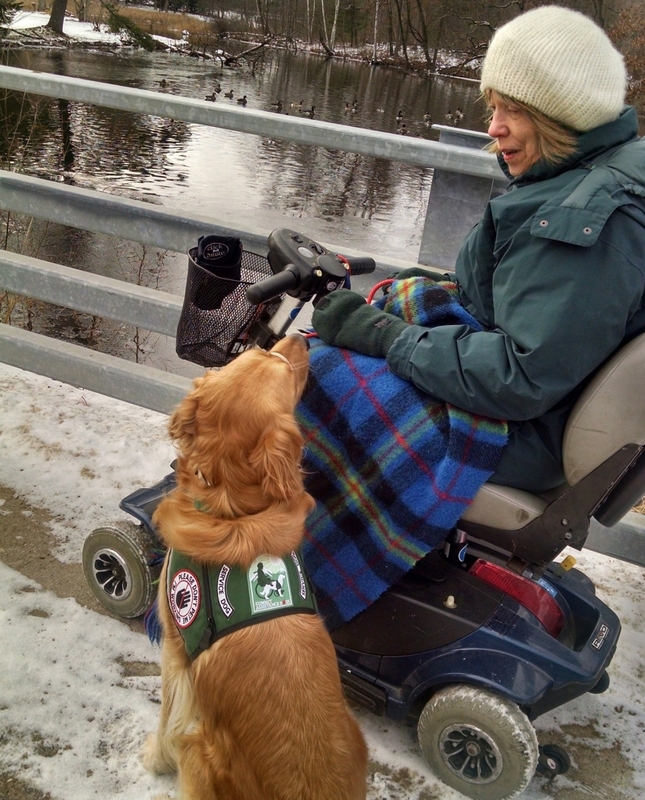 Now she enjoys the wonders of winter outdoors, shopping in local stores, exploring new places, meeting new people, and educating the public about service dogs. She says Narnia's calm presence and patience have made her a great ambassador for Summit and all service dogs. She considers Narnia a match made in heaven and can’t imagine life without her. Tony has Spinocerebellar Ataxia (SCA 6), which affects his balance and coordination, so he uses a wheelchair for mobility. It also has given him speech difficulties, which he says sometimes caused people to avoid him. But that has all changed with London. Tony says people seek him out now, and that has increased his communications skills. Now he doesn’t dwell on the things that he cannot do, focusing instead on how London has enriched his life, whether talking with people, grooming him, feeding him or playing together. He says London has made it is so much easier to deal with life’s issues, and the dog’s total devotion has given Tony a positive outlook on life and his future.